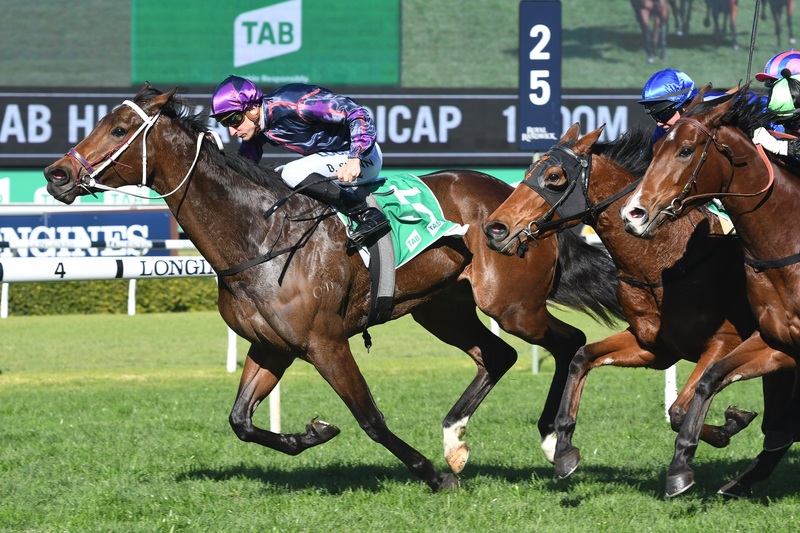 As prolific TAB Highway series winner Danny Williams looks to bigger occasions with the talented Highway Sixtysix and My Blue Jeans, he assesses them as “vulnerable” resuming in a strong TAB $60,000 Class 3 (1100m) episode at Rosehill Gardens on Saturday. However Williams, in intensive planning with numerous contenders for the spectacular $1.3 million The Kosciuszko sprint in October, has a compelling opinion of Highway Sixtysix with the key booking of James McDonald, while Kerrin McEvoy rides My Blue Jeans. The high-profile combinations could still be good enough on the day, and it’s an indication of linking for more lucrative occasions. “Highway Sixtysix is potentially a Group or Listed class sprinter and that ability might still be good enough, but whatever she does on Saturday she’ll take a lot of improvement out of it,” Williams offered. Williams previously was on record as saying Highway Sixtysix could surpass the deeds of his Listed class sprinter She Knows “The Winx of our stable” and be his best chance in The Kosciuszko. “All that opportunity is possible but we’ll take it a race at a time. Highway Sixtysix was scratched with that barrier mishap a few weeks back but she did trial really pleasingly at last Sunday’s Moruya’s meeting. While 1100m is short of the best form for the Williams pair, both have drawn ideally inside with Highway Sixtysix weighted on 55kg and My Blue Jeans carrying 58kg. And they might still be too good for Class 3 country opposition. Highway Sixtysix hasn’t raced since impressively winning a Royal Randwick 1200m episode on July 18, as she was scratched after a barrier mishap a week later. My Blue Jeans hasn’t raced since June 18 when the striking grey gelding finished third in a Royal Randwick TAB Highway after winning the previous week’s episode at Rosehill Gardens, and scoring midweek at Canterbury Park. Significantly, the classy Highway Sixtysix has won firstu-p, while My Blue Jeans has been unplaced twice when resuming. Neither has won at 1100m. Highway Sixtysix has won both her races at 1200m, while My Blue Jeans has won at 1250m and 1500m. With the spectacular The Kosciuszko all-consuming for country trainers, Saturday’s Highway attracted a record 30 nominations and eventually a capacity field with four emergencies.